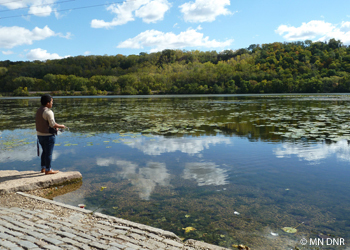 Comments: Pickerel Lake offers shorefishing and non-motorized boat angling opportunities. The aquatic vegetation can become quite dense in the summer so early season fishing is probably best from the shore. The City of St. Paul is updating the park and recently installed a carry-in boat access site. Various river fish species are commonly caught due to a connection with the Mississippi River.